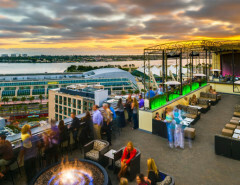 Noble Experiment is a very cool, hidden bar tucked behind the Neighborhood restaurant which is on the corner of 8th and G Street, Downtown San Diego. 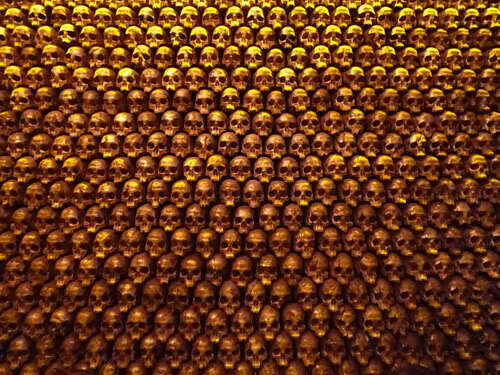 When you first walk in you’ll be struck by the wall of miniature human skulls and the interesting decor. The space is relatively small and designed for conversational drinking. 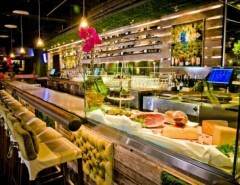 It is perfect for a date or to hang out with a small group of friends. There are two main seat types that you will get. If you call in advance or if it is a relatively slow night, then you will likely be seated at one of the booths. Otherwise you will be placed at the bar. I personally like the bar area because it gives you a chance to talk with the bartenders (some of the best in the city, and even the country) who will help you find out what you might like and watch them make your drink. Many of the bartenders also work at other properties owned by the same restaurant group like El Dorado, Rare Form, and Ironside. 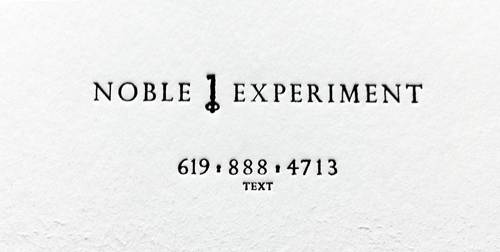 Noble Experiment usually requires that you text ahead of time to reserve room for your party. 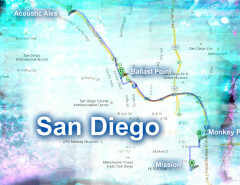 It is a relatively small area and has capacity for maybe 30 people. However, I have found that they will often have room for small groups of people who walk in and ask to be added to the wait list. Sometimes this wait can take an hour or more. But if you go in before dinner, then you can easily sit down and have a bite at the Neighborhood or any other nearby restaurants and wait for them to text you when they have space. Once you are in Neighborhood Restaurant, go to the back where the bathrooms are. don’t feel like you are intruding, people are coming in and out of there all the time! You will see a wall of kegs on the right hand side. Push them and you will notice that the door swing open inward where you will find a red neon light that says Noble Experiment and a hostess station. 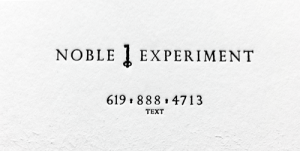 Noble Experiment is definitely one of my favorite, laid back bars in town and it is definitely somewhere you need to try at least once!